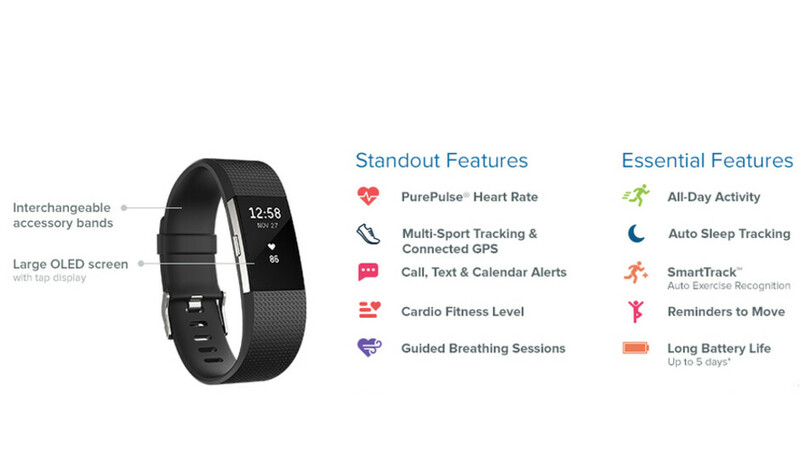 Fitbit Charge 2 fitness tracker w/ heart rate monitor is 33% off at Verizon, save big! Deal alert! Fitbit's Charge 2 fitness tracker is now on sale at Verizon. The best current price for the US variant we were able to find on Amazon quotes $120. However, you can grab the gadget for $80 at the US carrier's e-store. That's a discount of $40 or more than 33%! This is valid for both the small and large variants in black, teal, and plum. When you connect the Fitbit Charge 2 to a compatible Android or iOS handset, it allows you to see call, text and calendar notifications on the OLED display. In addition to tracking activities like steps, distance, floors climbed, and active minutes, the wearable also has a built-in heart rate tracker! You can also sync your stats wirelessly and automatically to a PC, laptop, or Mac so that you can have a better understanding of your workouts and outdoor activities. If this deal interests you, feel free to follow the above link to Verizon.